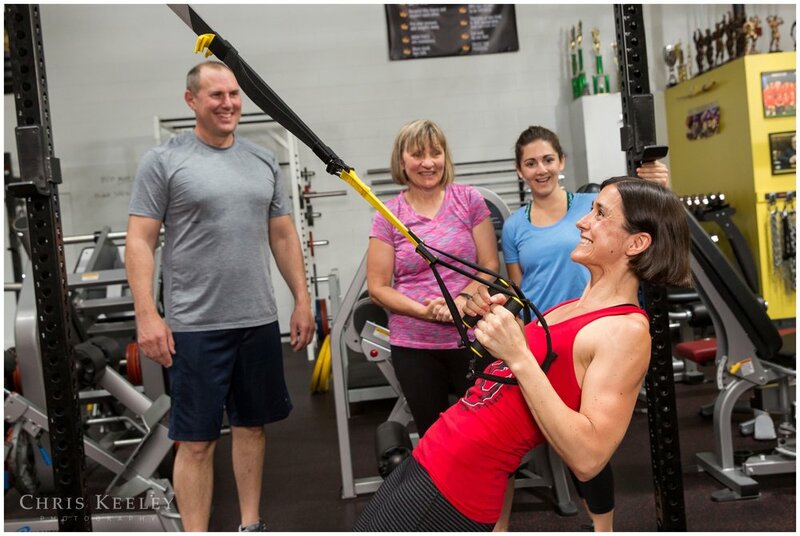 Sara Zela or "Coach Sara" is a TRX Trainer at Phoenix Fitness in Dover, New Hampshire. As a part of her plan to grow her business, Sara reached out for help to bring her business to the next level, and so we created a marketing media kit for her TRX business. We planned not one but TWO sessions for Sara. The first took place in studio at Chris Keeley Photography, with an emphasis on headshots, complimentary props, and images with lots of negative space to overlay her marketing messages. Her second session took place at Phoenix Fitness, also in Dover, New Hampshire, with her TRX students. The focus there was to create images of her working hands-on with her students. Together, we created a robust portfolio of marketing images for Sara's website, social media, printed collateral, and other marketing materials. Here is a sampling of Sara's massive marketing media kit.